Pour que votre équipe accède à des plans, documents et modèles à jour. "Nous pouvons garantir la réussite de nos projets grâce à une meilleure gestion de la qualité." Moins de temps à gérer les fichiers, plus de temps pour construire. Le travail est plus efficace lorsque les équipes projet ont accès aux bonnes informations au bon moment. BIM 360 Docs vous permet la publication, la gestion, la révision et l’approbation de tous les plans, documents et modèles d’une opération de construction, à tout moment. Chargez l’ensemble de vos données plus vite et de manière plus organisée. Paramétrez la création automatique de feuilles à partir de vos carnets de plans. Organisez les plans et documents de construction et analysez les modifications entre leurs différentes révisions. Maintenez le contrôle des documents de construction grâce à cinq niveaux de permissions, ce qui vous permet de garantir que l’information est accessible au bon interlocuteur, durant tout la durée du projet. Une seule application répond à l’ensemble des besoins. Utiliser des applications différentes pour les plans de construction, les annotations PDF, la gestion des problèmes et le partage de fichiers ne permet pas un travail synchronisé. Regroupez tous ces aspects en une seule solution, disponible via navigateur internet, tablettes et smartphones, pour rester toujours à jour. Visualisez et travaillez avec des plans 2D ou ouvrez un modèle 3D et visualisez les plans dans le contexte, le tout sur le même écran. Créez et partagez des annotations 2D et 3D destinées aux revues de projet. Gérez les problèmes et les demandes d’informations. Créez et assignez des problèmes ou des demandes d’informations à des corps de métiers ou membres individuels de vos projets. Commencez par donner accès à toute votre équipe aux documents projet centralisés. Gratuit pour un projet unique. Pas de limite pour le nombre d’utilisateurs ou le stockage. Pas besoin de carte de crédit. "BIM 360 Docs est une solution intuitive et facile à prendre en main. Elle nous permet d’avoir une traçabilité complète des actions sur les données de la plateforme, de la nature des échanges et des interlocuteurs." To stay up to date with all BIM 360 Docs Release Notes, visit the BIM 360 Docs Forum and subscribe to the Release Notes. You'll get alerted when new features are released. TIP: When updates are pushed live, we recommend that users clear their browser cache prior to logging into BIM 360 Docs. An "*" preceding a feature indicates that a paid subscription to BIM 360 Docs is required to take advantage of the feature. The November 8th update delivers highly-requested RFI* and Issue Management enhancements, viewer navigation improvements, and better support for PDF specifications managed in the Project Files area. Issue management has a new look, providing a view of the most important information you need at a glance. And, the issue list can now be exported for offline review and analysis. The RFI* experience has been updated with a new List view, and providing export to CSV. The viewer navigation experience for files in "Project Files" now includes options for viewing 2D sheets and 3D views. New, more powerful Project Members page that allows for the management of BIM 360 members across BIM 360 modules. Automatic activation of project membership for existing Account members, removing the need for users to accept invitations to new projects. Role-based default access that sets members assigned to a role (like Architect or Superintendent) with default access to BIM 360 modules. A unified administration activity log, allowing Account Admins to see project-level administration management activities in one place. In our October release, we've added new markup tools, enhanced the default RFI* and Issues viewing experience, improved the file upload experience and added the first-person model navigation and document & folder list view to the iOS app. Markup tools on the web now include an improved text box tool with an automatic border and white fill to improve viewing, a "dimension" markup tool is available to share verified dimensions with the project team, and the iOS app now supports markup editing. The pushpin visibility settings for RFIs* and Issues have been modified based on customer feedback, with view settings available to be modified in the panels. Uploading large numbers of files to the Project Files area is now easier, with the added ability to navigate to other areas of BIM 360 Docs while files are processing..
iOS users can now create RFIs* and Issues on drawings and models managed in "Project Files" folders, as well as the option to create RFIs* and Issues on 3D models in both "Plans" and "Project Files" folders. Android users can now view attachments on issues, add comments to issues and view issues and RFIs on 3D models. Our latest release includes new viewing, navigation, and measurement tools. This release also includes an iOS update with the ability to better analyze a 3D model with new sectioning tools, extended RFI* and Issue management capabilities (create Issues and RFI's on 2D drawings and 3D models in any folder), and the ability to create project-level Issues and RFI's*. "First Person" walk mode for 3D models makes it easy to navigate the model and experience the design before it is built. The measure tool has been completely updated, now with point-to-point, angle, and area measurement options. Thumbnail images have been added for multi-sheet / multi-view files, for improved navigation within PDF and model files managed in "Project Files" folders. iOS users can now also create project-level Issues and RFIs* from the project Issue and RFI lists. Our first September release contains two exciting new features for project teams that work with 3D models -- 3D model compare, and RFIs* for 3D models. We've also expanded the ability to create RFIs* on documents in any folder, and improved search capabilities. The new Model Comparison tool provides insights on geometry and property changes, enableing a solid understanding of the most current published model by providing a visual representation of detailed change information. Support for adding RFIs* to 3D models, as well as PDF documents and design files in the Project Files folders. This now extends our ability to use markups, issues and RFIs in any folder type in BIM 360 Docs. Search improvements include tuning the search profile for file names, recognition of spaces, hyphens, underscores and periods, and search up to 32 characters (up from 10). This update extends issue management capabilities with support for creation and management of issues on 3D models (in any folder), enhances collaboration with intuitive, secure, document and folder sharing, and delivers usability and quality improvements. Now you can create and manage issues on 3D models managed in either the Plans or Project Files folders. Secure sharing of documents or folders is now enabled through a "Share by email" option. Users will receive an email with a link to the document or folder within BIM 360 Docs. All sharing activities are tracked in the Activity Log. Usability improvements including updated context menus, a "locked" indicator and share/download options in the viewer, and changes to the default column widths for the list view in the Project Files folders. The column width change supports customers who need longer file names, such as those required by PAS 1192-2 in the UK. Version 2.6 of the iOS app includes. This latest update delivers a number of highly-requested features, including a number of markup tool enhancements, RFI workflow improvements*, and a new Android app version. The markup tools have been updated to support the ability to edit existing markups, and to control markup visibility as either "Private" or "Published". Private markups can be deleted, and Published markups can now be "Archived" instead of the previous "Closed" functionality. This maintains the critical automatic slip sheeting functionality for new versions. Archived markups can be viewed by selecting "Show Archive" in the markup panel. The markup toolbar has added functionality including a new highlighter tool, and the inclusion of "undo" and "redo" controls for markup creation and editing. Folder subscription options have been added to allow users to choose whether to subscribe to just a single folder, or a folder and all of its subfolders. A new upload experience is available for the "Project Files" area to match the experience for uploading files to the "Plans" folders. A new Android app release now supports viewing and creating private and published markups, allows for creation of issues on a project-level, view the project-level RFI list and view issues and markups in Project Files. BIM 360 Docs now supports the ability to lock, and unlock, project documents in order to support work-in-progress design workflows, as well as avoid over-writing the final version of a record document. This functionality is available for any drawing, model or file managed in the "Project Files" folders. This release delivers important new capabilities and enhancements to support better project collaboration and document management. Support for hyperlinks that were added to PDF drawings in native PDF editing software, including external hyperlinks and relative hyperlinks. Ability to download PDF drawings including markups. These downloaded markups are "annotations" in the PDF files, making them fully editable. Ability to download the source files that were uploaded to the Plans folder. Issues can now be added to documents in the Project Files folders. For Administrators, BIM 360 Docs is now integrated with the unified BIM 360 platform Project Administration and Account Administration user experience. Version 2.5 of the iOS app is now available with added search, markup and Issues/RFI capabilities. Document search within a folder or all folders is now supported. From the results page, documents can be made available offline, and users can easily scan results or use the viewer to navigate the search results. Polyline and polycloud markup tools are now available. These releases include support for publishing IFC files to the Plans folder, PDF publishing and exporting improvements, measure tools for iOS and a number of Android updates. PDF publishing improvements, including filtering of documents by empty or duplicate fields during the review step to make it easy to identify and fix errors prior to publishing. PDF export now support the ability to download with hyperlinks included. IFC files can now be published to the Plans folder, providing improved support for project teams using this platform-neutral file format. iOS improvements, including the ability to measure 2D drawings and 3D models, markup capabilities for documents in any folder, and a new "Downloads" view to make it easy to manage and view documents offline. A number of Android app features, including creating issues and markups in offline mode, a project-wide issues list, issue activity list, and a document list view to make it easy to scroll through drawings. Our June 12th release includes a host of major changes, including a new UI, major viewing and markup updates, upload enhancements and more PDF export capabilities. The Web UI has been migrated to a new look and feel, which will be in use for an upcoming unified BIM 360 experience. For Revit files, a new "split view" lets users view a 2D sheet and a 3D model view -- or two different 2D sheets -- side by side in the viewer. Selecting an object in one view will highlight that object in the other view. Markup capabilities have been improved with the ability to delete a markup, and the addition of polyline and polycloud tools. PDF drawing export now supports the ability to select and download multiple drawings at once and export them as a single, multi-page PDF. Updates include the first phase of an initiative to support downloading PDF drawings, RFI workflow setup improvements, publishing improvements and the ability to markup NWD, NWC and IFC files in the Project Files folders. PDF export of single PDF files from the Plans folder. This is the first of a multi-phase release of export features. Added ability to view, navigate and zoom in on drawings during the Review step of the publishing process to easily confirm the title block data is correct. *Assign RFI workflow roles to individual users, roles or companies. Version 1.4 of the Android App is available in the Google Play store, including updates to the Issues feature, model navigation improvements and document navigation. Added ability to edit issues online and offline, including status, assignee and due date. Model navigation capabilities, including review model object property data, and select and reveal 3D model objects. Support for Chinese, Japanese, German, French, Spanish, Brazilian Portuguese and Dutch. This release delivers markup and measure tools for drawings, models and PDF files in the Project Files folders. Markup and measure tools are now available for drawings, models and PDF files managed in the Project Files folders. Streamlined the template definition experience for uploading PDF drawings, including switching the order of the "Number" and "Title" boxes, and removing the "Size" text box. Our second April release delivers major improvements for uploading, reviewing, publishing, and viewing PDF drawings and design files. We have completely redesigned the PDF upload experience and now provide a single project-level “publish log” for managing your uploads in one central location. In addition, we have added the highly-requested ability to upload and view linked Revit models and DWG files with XRefs!. Support linked file (including AutoCAD XREF and Revit linked files) upload in BIM 360 Docs, and this capability is available for both “Project Files” folders and “Plans” (sheet extraction) folders. iOS app update that includes additional support for RFI and workflows, including the ability to filter and sort the RFI list and the ability to navigate directly to an RFI from an email link. Our first April release features a number of performance improvements, and adds the ability to navigate directly to a drawing from the email notifications sent for RFIs and Issues. A new version of the Docs Android app is now available that includes the ability to navigate between drawings using callout hyperlinks and the ability to create issues on 2D drawings. The Activity Log items can now be exported to a .CSV file. Project Administrators can select a specific time period of log items to export, or export the full list. The ability to copy files has been in the product for a few months, and we have now added the ability to copy a specific version of a file. This supports work-in-progress design collaboration, allowing project teams to select what version of a file to share with the broader team. We continue to improve the RFI functionality, and have added the ability to navigate directly to a drawing from the RFI card via hyperlink. The Apple iOS app was updated to improve the RFI workflow feature with the ability to view the RFI list, and add comments to an RFI while offline. The March 15 release introduces improvements to the project-level Activity Log, including new folder actions of: delete, restore and permission settings. Users of the iOS app can now create new RFIs, as well as comment on existing RFIs. Links from Issue and RFI notifications, as well as links from the Activity Log, will now navigate directly to the drawing, model or document. URLs for models, drawings or files can be copied and sent directly to team members (requires the user to have permission to view the document). A new measure tools is now available to verify dimensions in 2D drawings and 3D models, including a calibration tool to easily determine dimensions on a drawing once the calibration has been set. To improve the publishing experience, Title Blocks can now be re-used across the project. Once a title block has been defined, it will be available for future uploads of PDF drawings (this applies to Title Blocks created after February 28). The ability to cancel a publishing job after the initial upload has also been added. Any document (all versions) can now be moved from one folder to another, allowing users to easily re-organize project documents without losing the history and audit trail. This also allow users to upload a multi-page PDF drawing set or Revit model, then organize the extracted sheets into discipline specific folders, such as architectural, mechanical and structural. For users who work in areas without an Internet connections, the BIM 360 Docs Android app now includes the ability to download documents for offline viewing and the ability to change the status of an issue when offline. Android app users can now view RFIs created on the Web, including details, activity and history. Additional Web UI improvements include the ability to create, review or edit issues directly from the Issue list, the addition of the Project Name to folder notification emails, and an improved workflow for viewing previous versions. New features in the Android app, including the ability to create markups and access to project issue and activity history. iOS app users can now view RFIs created on the Web. Our first release of 2017 includes expanded OCR language support, project administration improvements, and early access to the RFI feature under development. OCR language support for PDF drawings is now available in 13 additional languages (in addition to English): Danish, Finnish, French, German, Icelandic, Japanese, Norwegian, Polish, Portuguese, Simplified Chinese, Traditional Chinese, Spanish and Swedish. The OCR language is determined by your browser language setting. Project administrators now have the ability to completely remove one or more users from a BIM 360 Docs project. In addition, the "Controller" permission level no longer includes access to the Project Administration screen. BIM 360 Docs is adding support for key AEC-industry workflows, and we are starting with RFIs (Requests for Information). 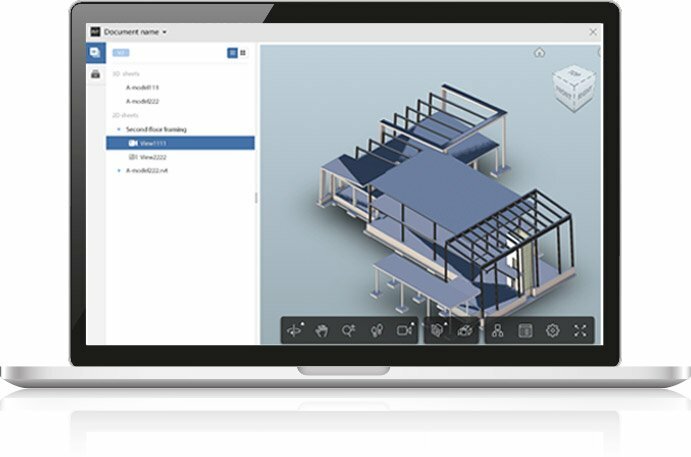 This release provides early access to the BIM 360 RFI feature, which includes the ability to create, respond to, and track document-based RFIs; workflow configuration options; and a project-level RFI list. We plan to release additional capabilities to this feature in subsequent product updates. For releases prior to January 2017, visit the BIM 360 Docs Forum and subscribe to the Release Notes. You'll get alerted when new features are released. BIM 360 Docs is available in both free and paid pricing tiers. The paid tier contain all product features and is sold in subscription packs of 1, 25, 100 or 1,000. The free tier contains a subset of the paid tier features and is limited to a single project. Comment puis-je m’abonner à la version payante de BIM 360 Docs? BIM 360 Docs can be purchased from Autodesk reseller partners. To find a partner in your region, go to https://www.autodesk.com/resellers/locate-a-reseller choose your location, and select "Architecture, Engineering & Construction" in the Specialization dropdown. The BIM 360 Docs free tier provides users with access to the service for a single project. There are no limits to the number of users who can be invited to a project, and no limit on the number of files. For a feature comparison between the free tier and paid tier, visit: https://bim360.autodesk.com/docs-pricing. The paid subscription offers all available product features and can be used to manage multiple projects through a single account. ACCEDEZ A BIM 360 GRATUITEMENT !